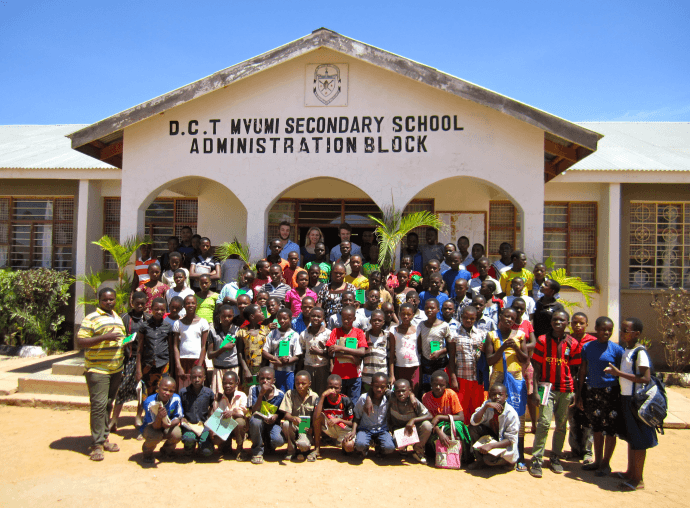 DCT Mvumi Secondary School, which was established in 1994, was built on land donated by the village to the Anglican Diocese of Central Tanganyika (DCT), Tanzania. The site had previously been occupied by a small middle school, and included a former Tanzanian Prime Minister, Dr John Malecela, as one of its alumni. Mr Richard Morris, a New Zealander, became headmaster in 1996, and embarked upon an ambitious fund raising programme in the UK and New Zealand. As a consequence the reputation of this co-educational village school increased substantially. Under his leadership, and as a result of his extensive fund raising travels, a major building programme was begun. The programme included boarding accommodation for both girls and boys, an assembly hall that doubled as a dining hall, a refurbished science block, library and computer room. A well with an electric pump to provide fresh water was installed. A new senior school was opened by the Prime Minister of Tanzania, accompanied by the British High Commissioner and Sir Stuart Rose (now Lord Rose), who had been, and continues to be, a major donor. The Friends of Mvumi Secondary School was set up in 1999, as a consequence of the visit of John Lewis, the Head Master of Eton College, who wrote an article for the Telegraph which attracted considerable interest. 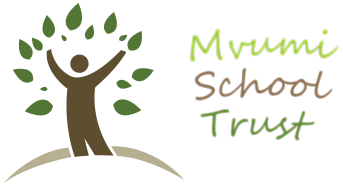 The Friends of Mvumi Secondary School aims were to provide financial and administrative support to the school. Following Richard Morris's retirement in 2006, Mr John Clark, a former Eton College House Master on secondment from Eton, was appointed Headmaster. Numbers continued to increase to 430 with a senior school of 50. The boarding provision expanded in 2007 following the building of an extension to the Junior Boys house (Alpha House). In 2008 a Memorandum of Understanding was signed between the Diocese and the Tanzanian government to fund a unit to educate the children from DCT Buiguiri Primary School who were blind or visually impaired. This was funded by ICAP. In 2009 Mr Francis Malugu, the deputy head, succeeded as Headmaster. As a teacher of mathematics he had been involved extensively with National Examinations. Under his leadership there has been a significant expansion of numbers, an increase in teaching staff, more classrooms, more boarding places and continuing improvements in academic standards. Funding for facilities and administration was heavily dependent upon the contribution of J. O. Hambro and the George David Charitable Foundation. The school is managed by a School Board. The immediate past chairman was Ambassador J. Lusinde, who served in President Nyerere's first cabinet and was Ambassador to China during the presidency of Mao Tse Tung. He retired from the board in January 2019. The current chairman is Rev Can Emmanuel G Madinda, the chaplain of St John's University, Dodoma. The Board is selected by Bishop Dickson Chilongani who succeeded Bishop Mhogolo in 2014.